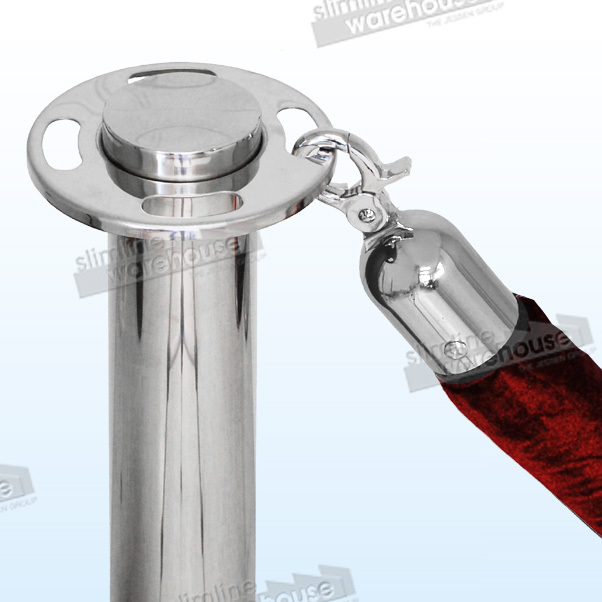 These rope barriers are manufactured using stainless steel and have been polished for a chrome appearance. Included in the unit are 2 stanchions which are 1 metre tall. 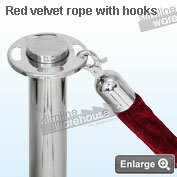 A deluxe 2 metre long red velvet rope at 5cm in Ø is also included. 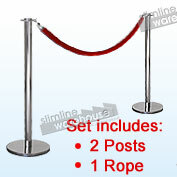 These rope barrier sets are great value! 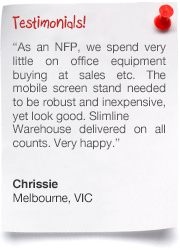 From other manufacturers you would expect to pay this price for a single stanchion, but from Slimline Warehouse you get the full set & 2 year warranty! 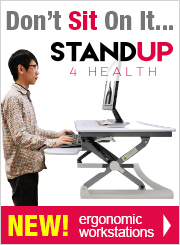 Each barrier post is heavy weighted to give the unit stability and stop it from being tipped over. 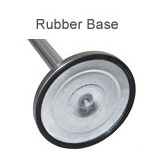 The base also features a rubber rim to eliminate the chances of slipping, surface scratching and any damage to your floors. 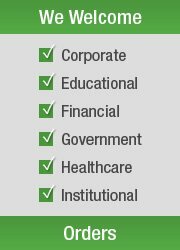 Components of this unit are meticulously packaged to avoid any chance of damage occurring during freight – a detail often overlooked by our competitors. And our rope barriers are easy to assemble, by hand, straight from the box – no tools required. 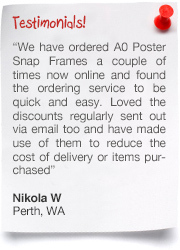 Poster frames designed specifically to compliment these posts are also available for separate purchase from the Q-Line range.
" 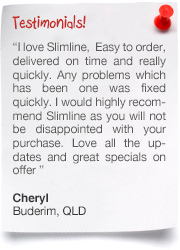 5 star product. 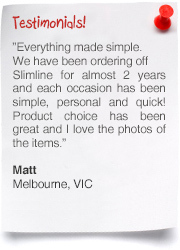 As soon as I opened the box, I knew that these were a winner and I ended up ordering another 5 units online." 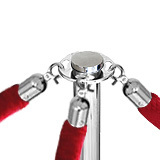 These rope barriers or stanchions with red rope are ideal for a variety of situations such as art galleries, exhibitions and corporate offices. 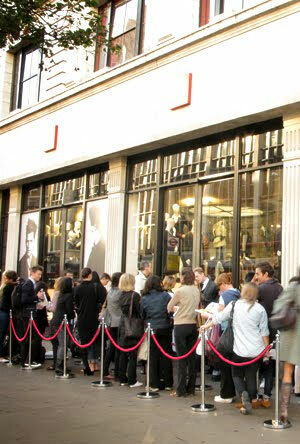 The rope barriers can be used to create a queue system or simply control a space around objects on public display. 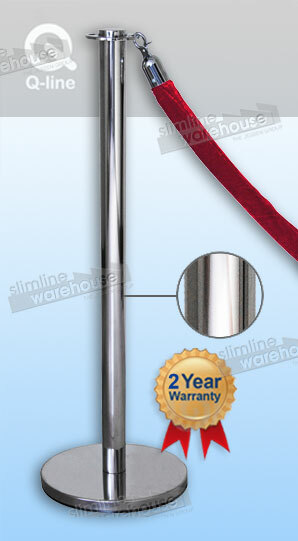 The posts themselves are high quality stainless steel, polished to give them a chrome look. Created with stability in mind Q-line rope posts feature a weighted base and rubber rim to prevent slipping or scratching of floor surfaces. 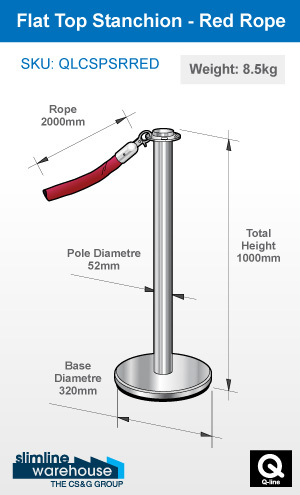 The head of the rope barrier poles accept up to 4 ropes at a time, giving you the flexibility to have any configuration with your rope barrier stanchions. 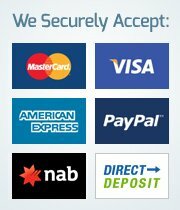 Such queue management systems are easy to set up and assemble as no tools are required. The rope barriers also arrive flat packed to keep shipping cost down. Rope fencing ropes are created with a foam core which is covered in red velvet and is 2 metres in length. 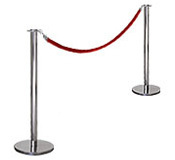 Having rope at this length will allow you to stand the rope barrier stanchions around 1.8 metres apart. 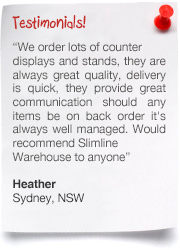 Each stanchion component is carefully packaged to protect it from any chance of damage during shipping and we deliver the stantions Australia wide. If you like these deluxe rope barriers, you may also like to view the entire range of retractable barriers & rope barriers. Please Note: These rope barriers are only suited for sheltered area use when the weather conditions permit. 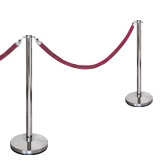 Please move stanchions inside during poor weather as they are not designed to withstand rain or moisture.